Sometimes a little change is as good as a rest they say. 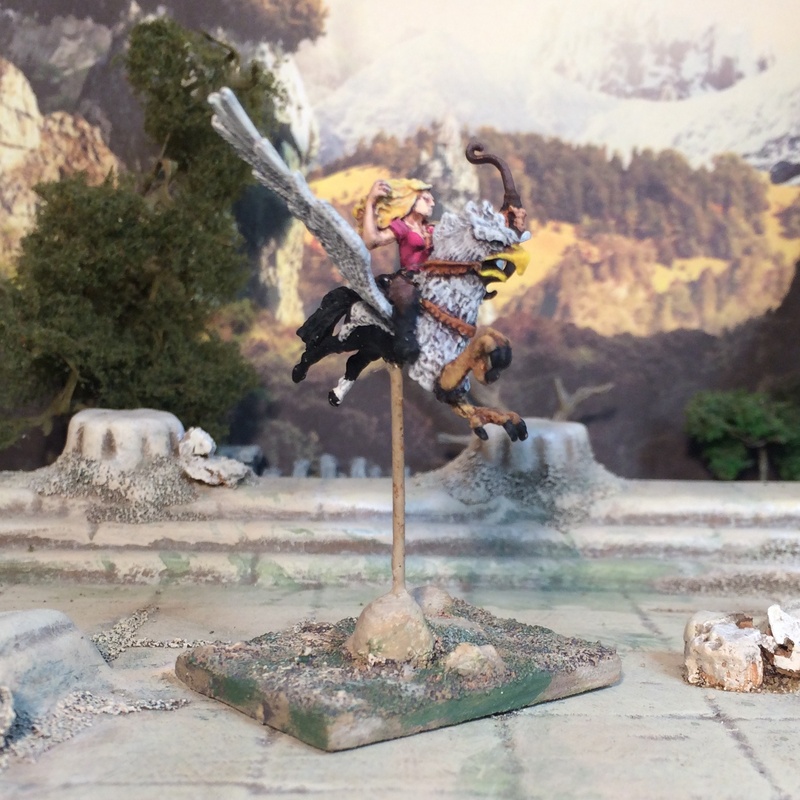 This medley of 15mm Fantasy are such – often ‘unconnected’ miniatures I pick up to paint between slightly larger tasks or projects. 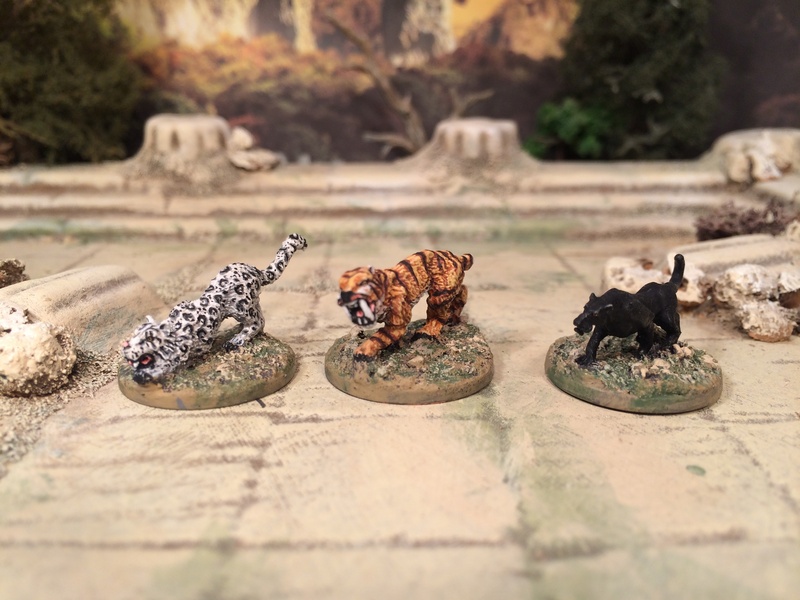 As a result there is no theme here beyond ’15mm fantasy’ and having said that the Big Cats are clearly non-genre specific but the intent was as roaming creatures for 15mm Frostgrave. 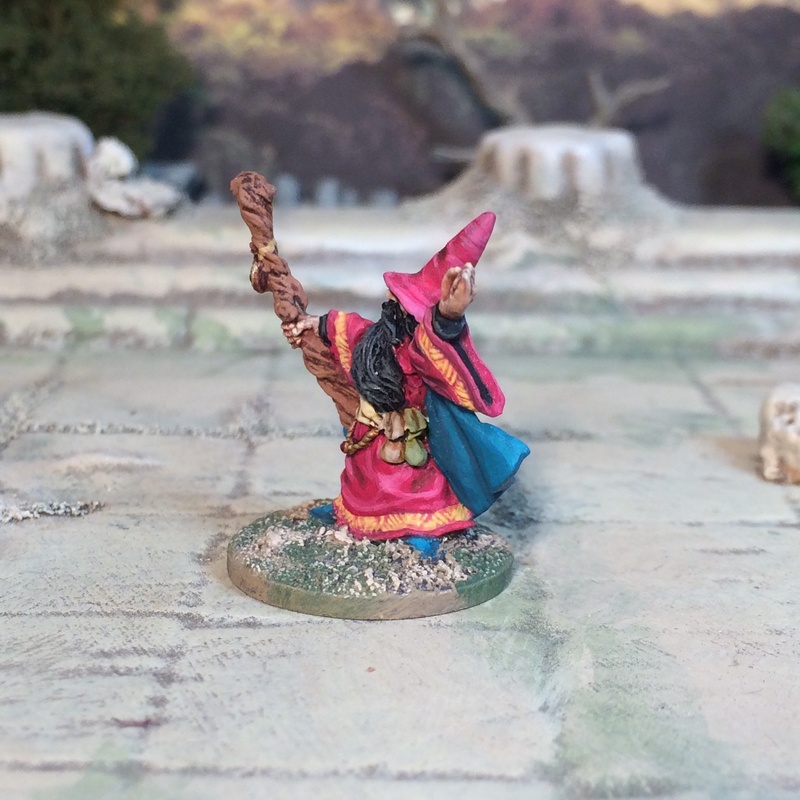 A Demonworld Empire Battle Mage/Magician. Tried to make the staff glow. Hmmm. 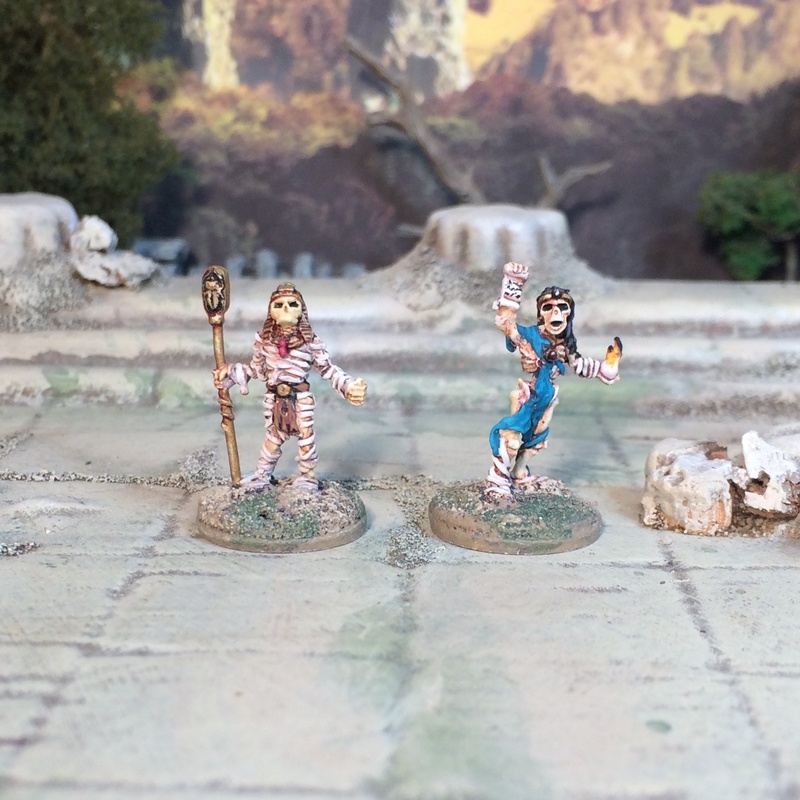 He’s painted up to accompany these guys. 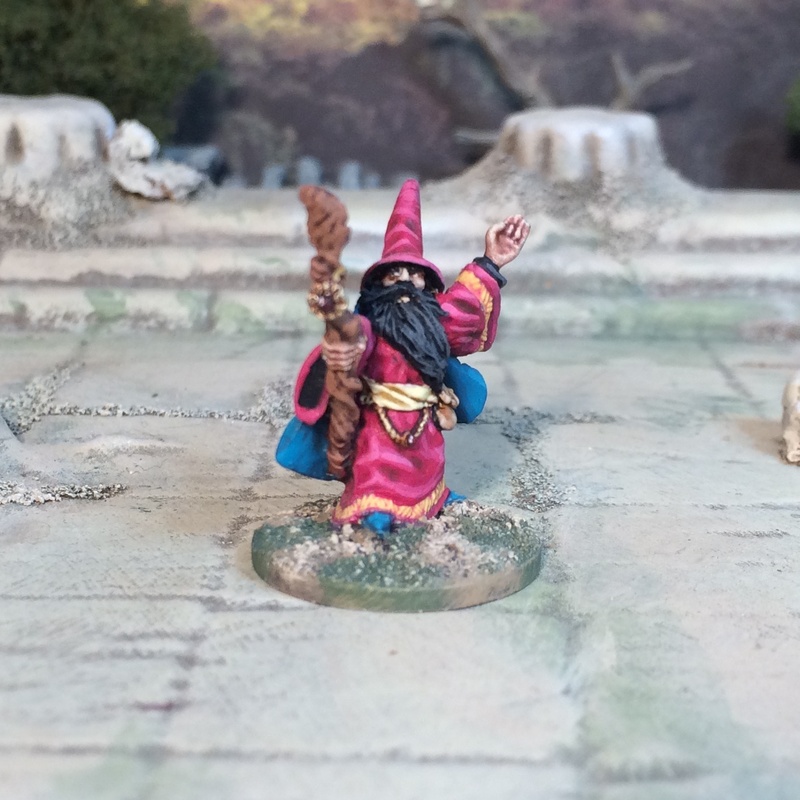 Another 15mm Demonworld Magic User. Wanted to go pretty bold here. 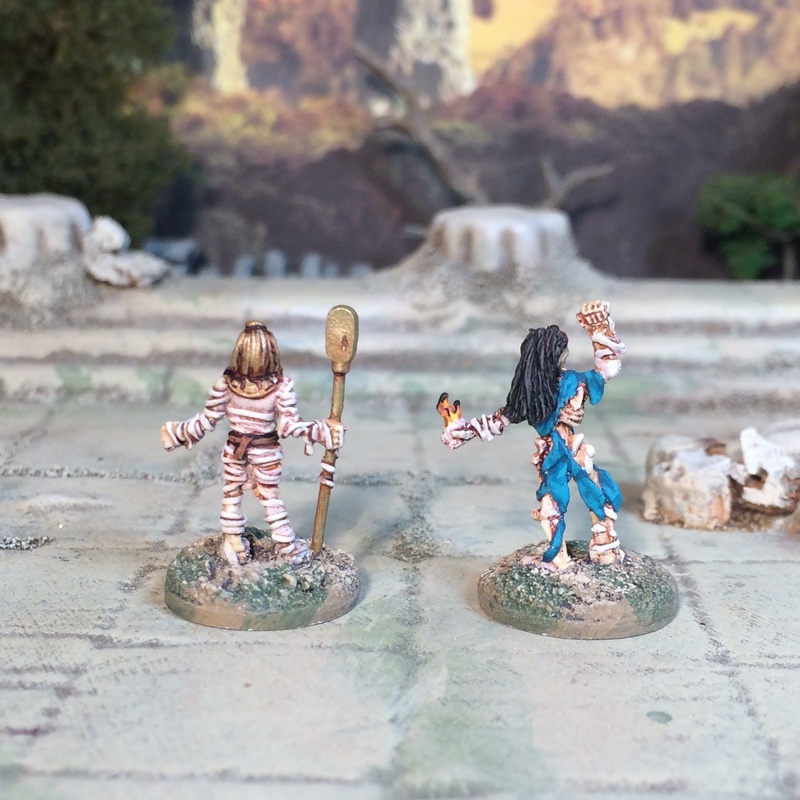 More Demonworld – a couple of human archers/hunters that don’t seem to fit in with any conceived units. 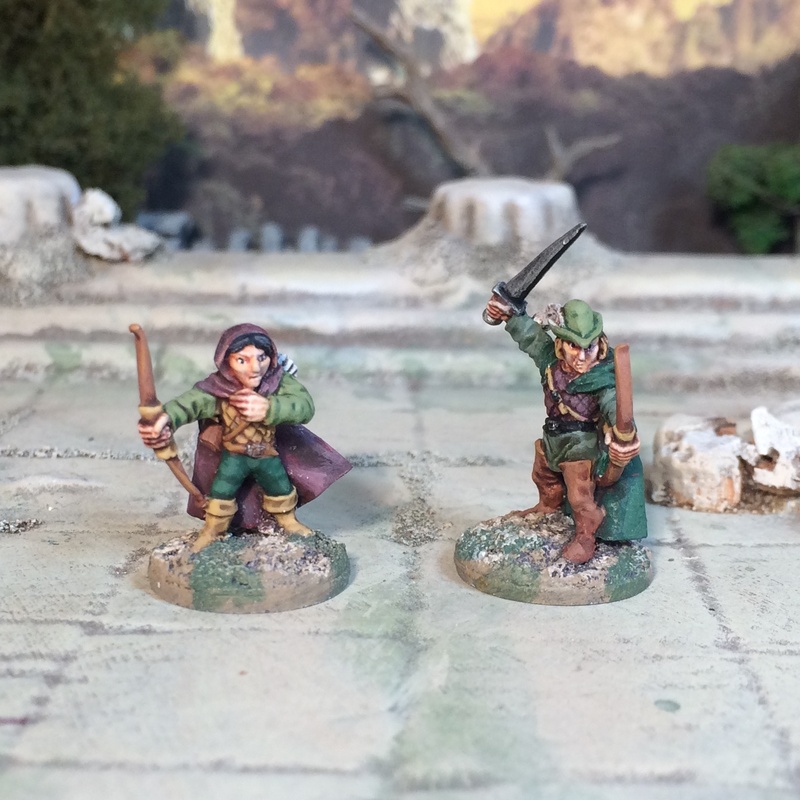 Empire for sure but ‘characters’ – Robin Hood inspired. 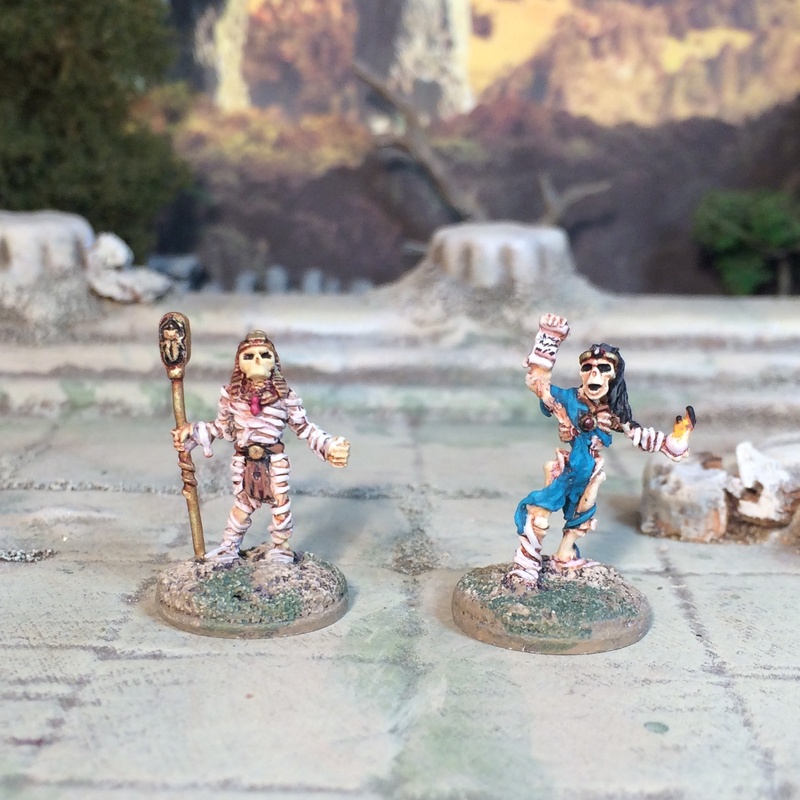 More ‘characters’ from Demonworld. 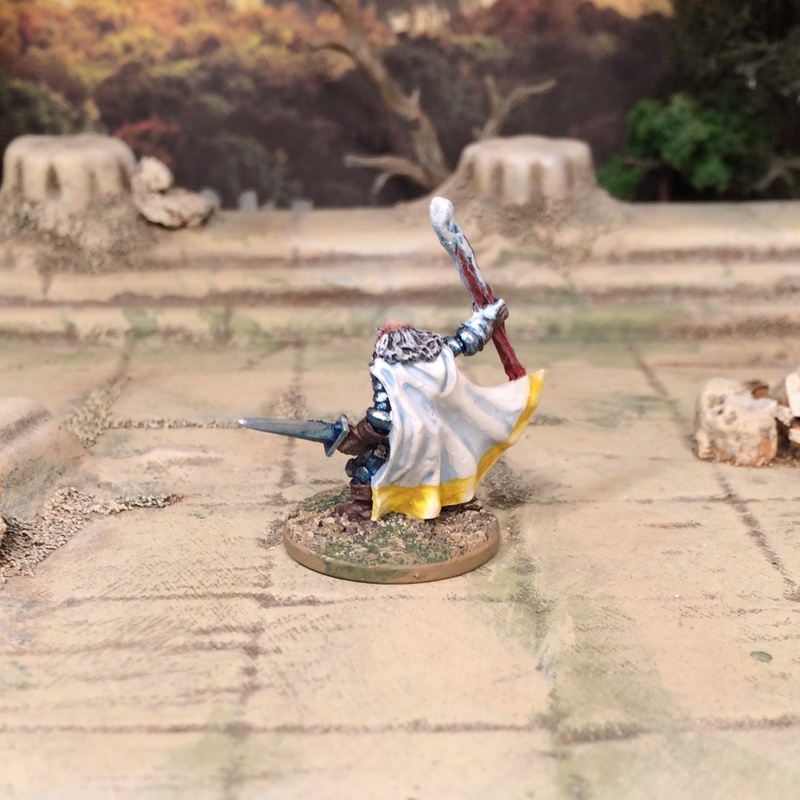 Again, a little random as I am not aware of an Egyptian Undead themed force from Ral Partha Europe. 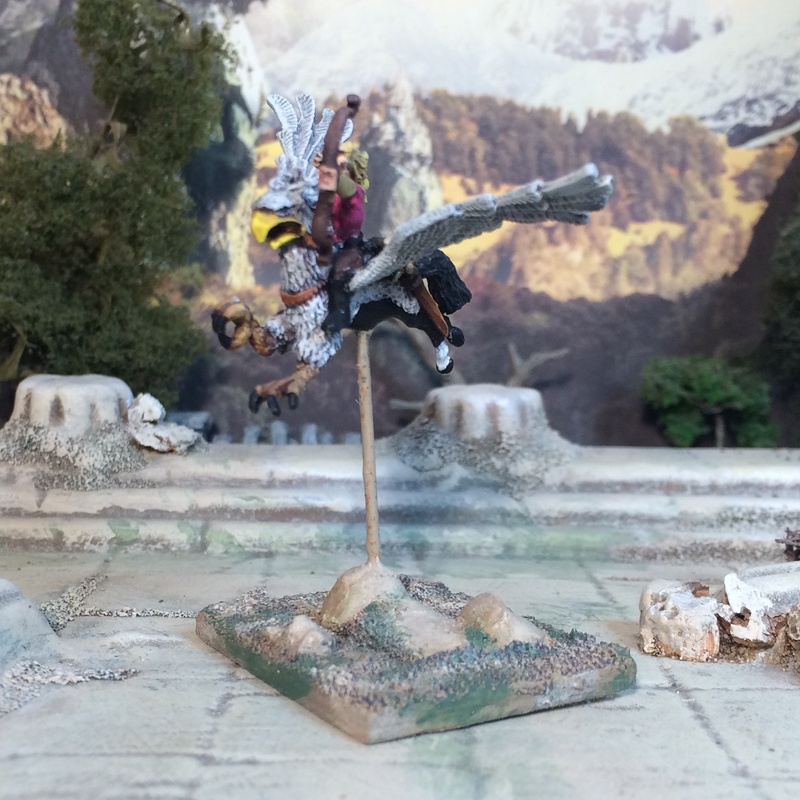 A repaint of an old Griffon from TSR Battle Systems (I think). 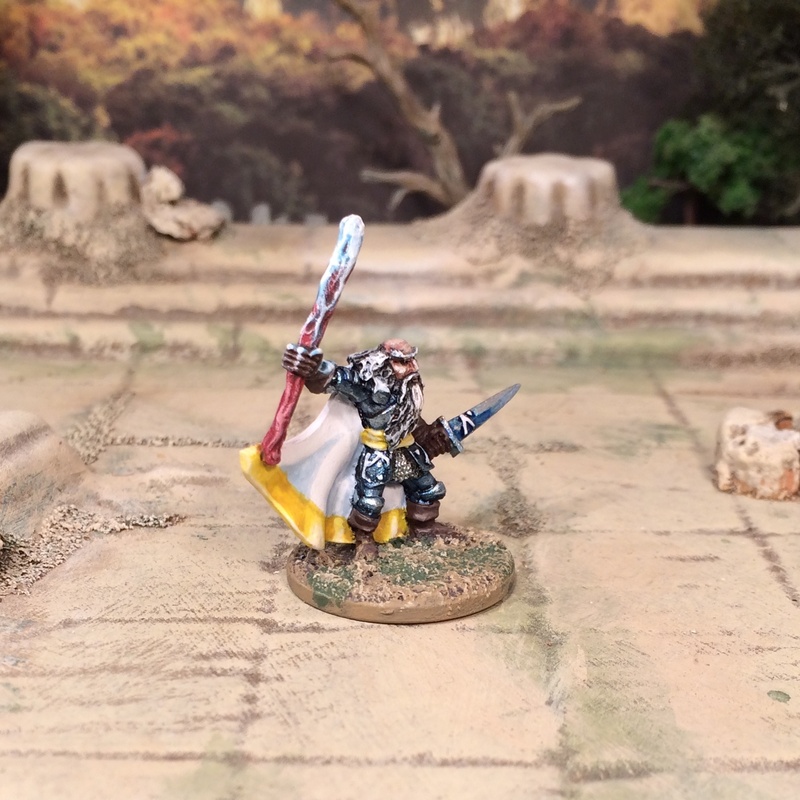 Joins two others to make a Dragon Rampant unit. 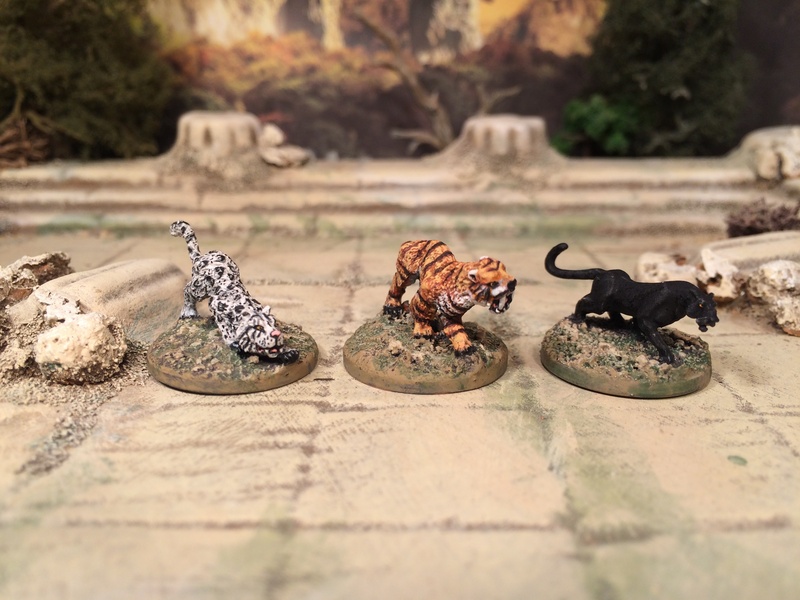 Finally, three big cats – Snow Leopard, Sabre Tooth Tiger and Panther. 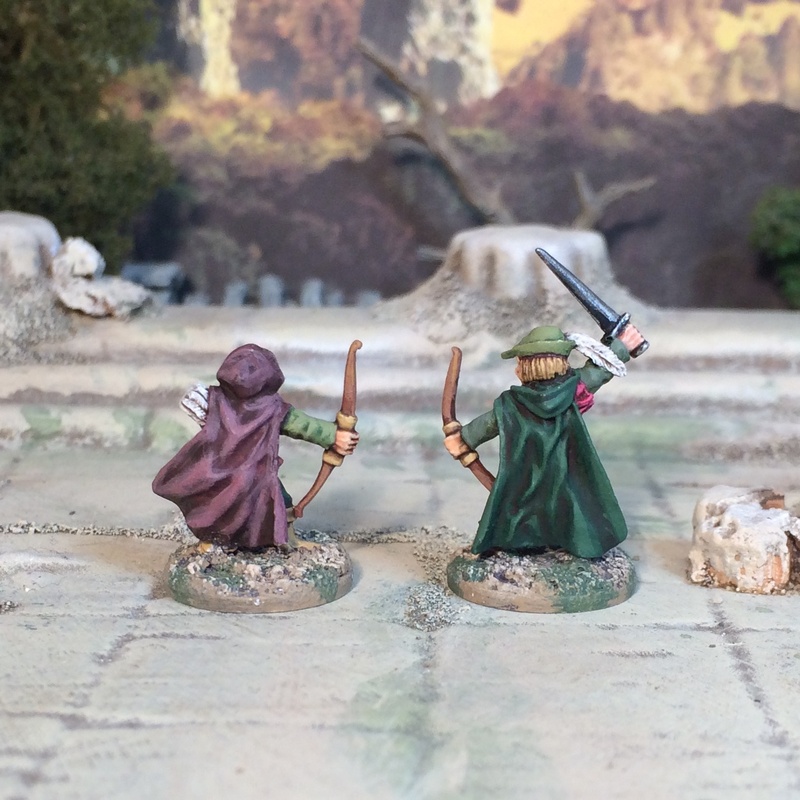 Wandering monsters, hazards, sidekicks or part of a ‘wild’ beast force, fantasy or pulp. Handy little fellows. 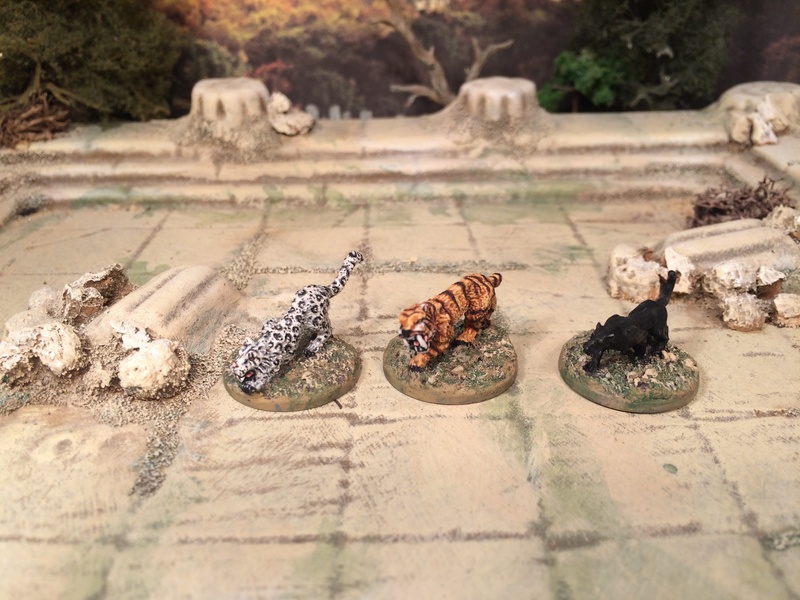 Can’t recall where they are from (sure the tiger is Khurasan). That’s all folks. 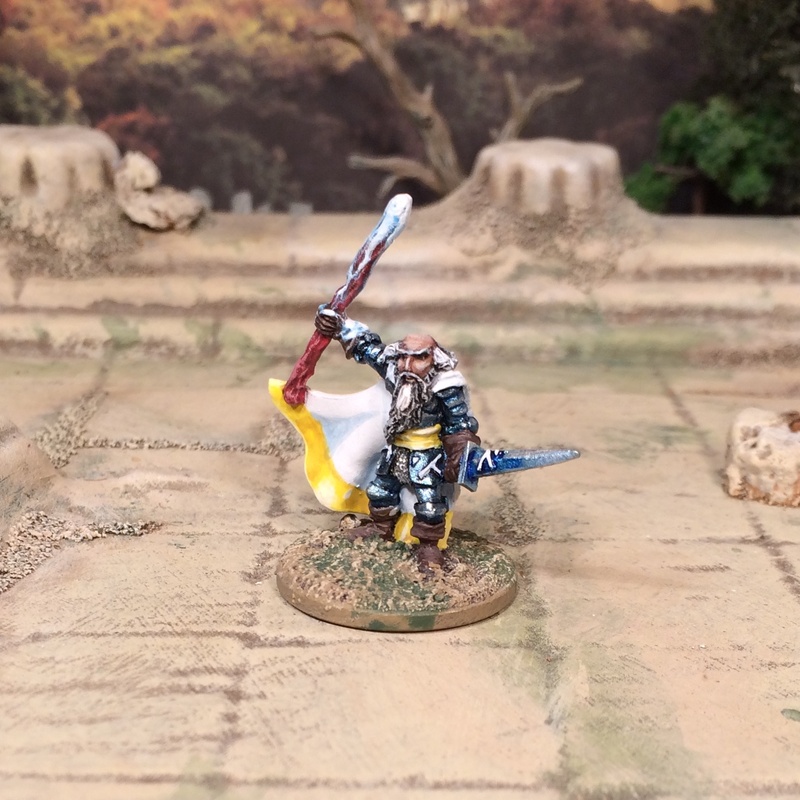 Your 15mm painting is as detailed as my 28mm painting! Mind you, I bet you’re not still using Humbrol enamels like me, and black undercoating then cell shading over the black! I’m basic, stubborn, and only just begin to experiment (a little bit) with changing my ways! 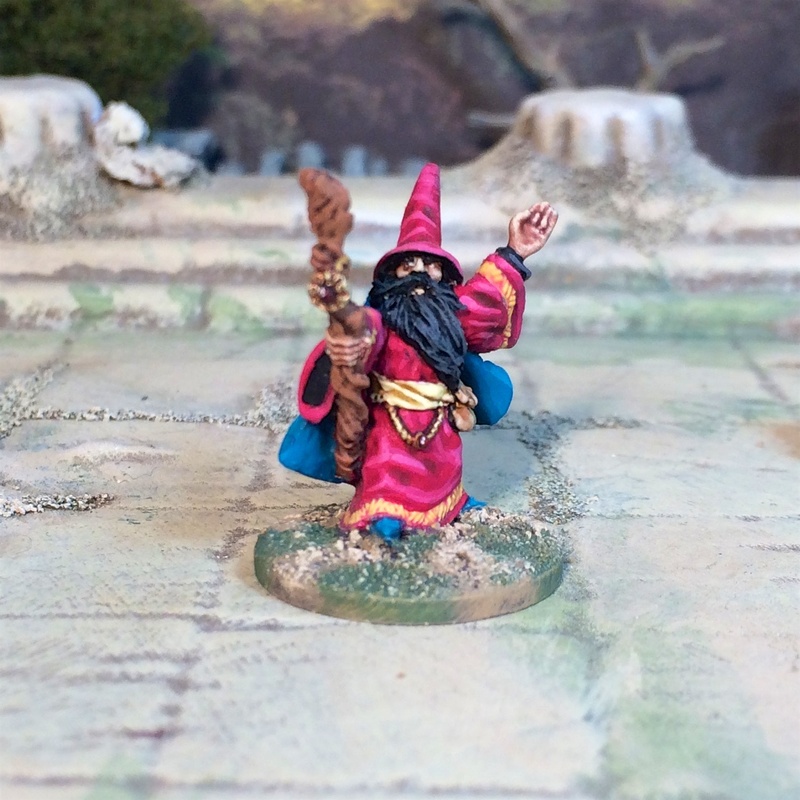 The wizards look just right. 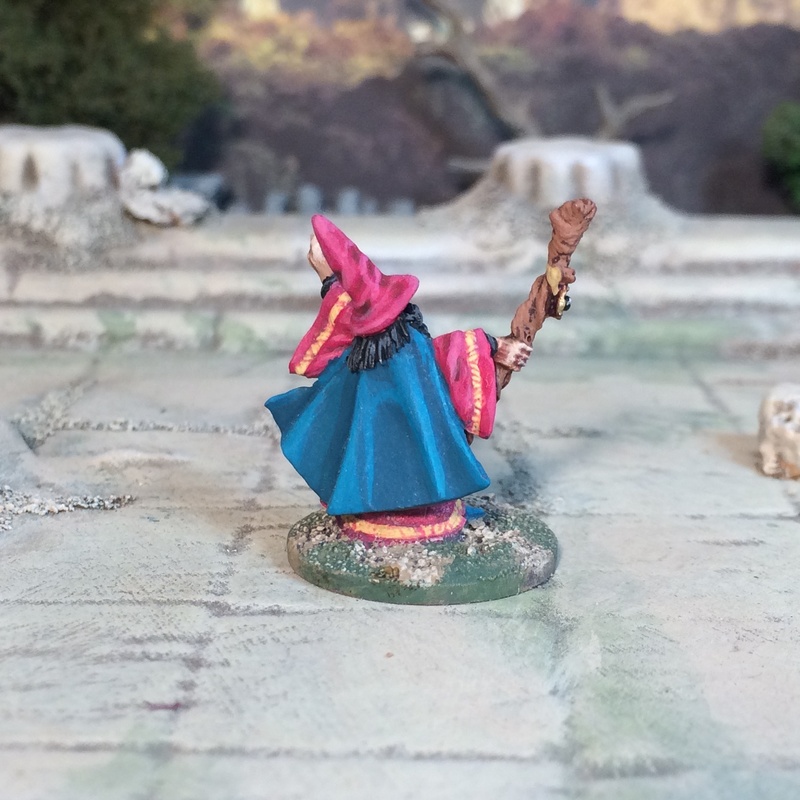 When I was painting up my 15mm fantasy I tried for very gaudy colours. After working on historicals I think everything is so muted that it’s hard to make the switch and it’s probably less gaudy than one thinks. 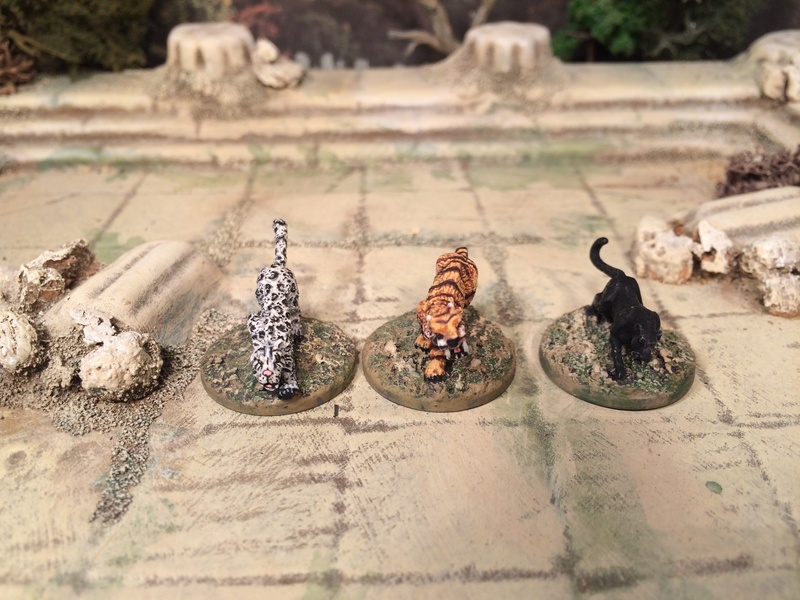 Great work on the big cats. Thank you for the encouraging comments Dave. 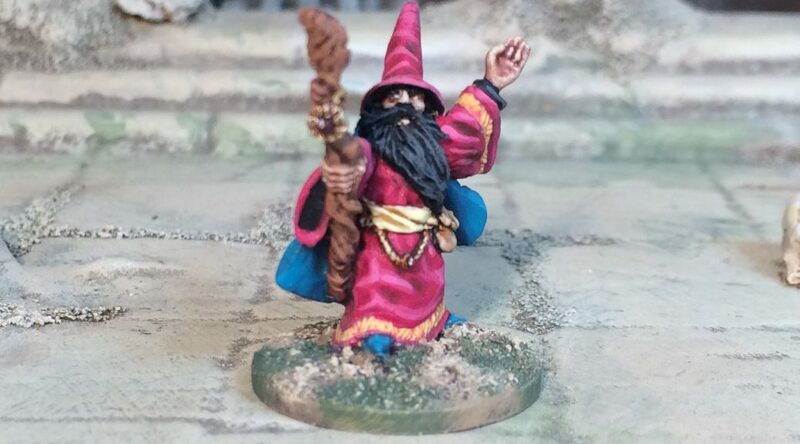 I think the “GO BRIGHT” tip for painting 15mm should apply to historicals as well as fantasy/sci-fi even if it means a little artistic licence.